This has been a much talked about favorite winter activity for everyone. 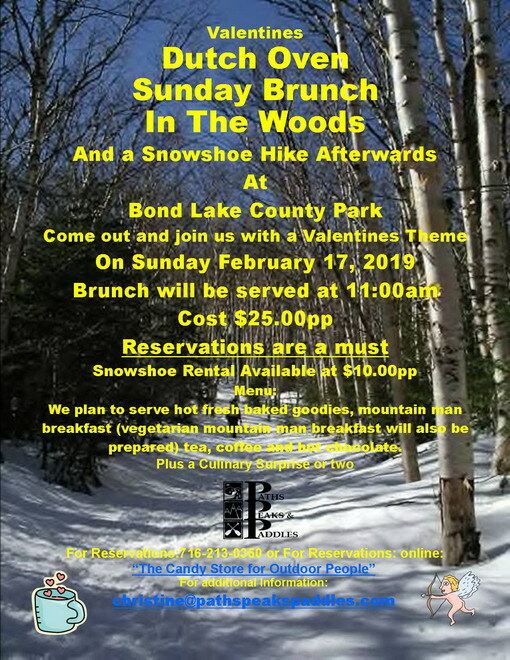 If you haven’t attended our brunch and hike you must this year! This exciting Sunday morning/afternoon adventure is a new twist to a normal “restaurant” Sunday morning brunch. Come and join us out at Bond Lake for a Dutch Oven Brunch. We plan to serve hot fresh baked goodies, mountain main breakfast (vegetarian mountain man breakfast will also be served), tea, coffee and hot chocolate. After you have had plenty to eat come and join us for an early afternoon snowshoe adventure through the park. If mother nature does not provide us with snow we will spend the afternoon hiking. Brunch will be served at 11:00 AM. 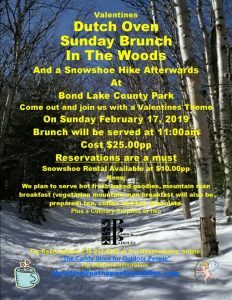 If you have snowshoes the cost will be $25.00 (this includes your brunch and guided hike). 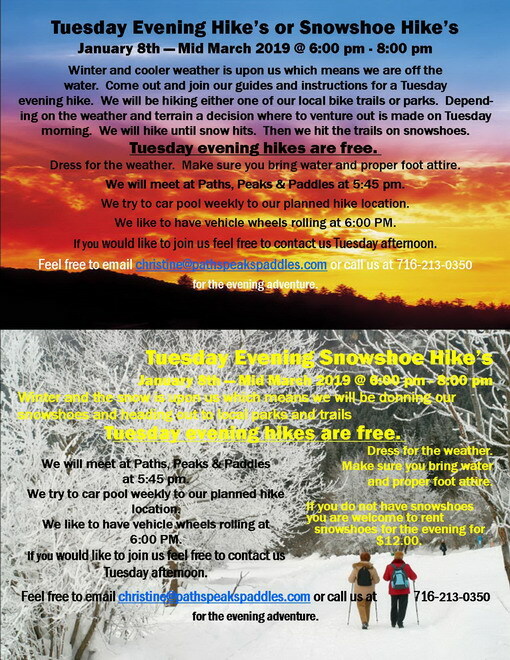 If you do not have snowshoes and need to rent contact us (direct link). Snowshoe rental with poles is $10.00pp.